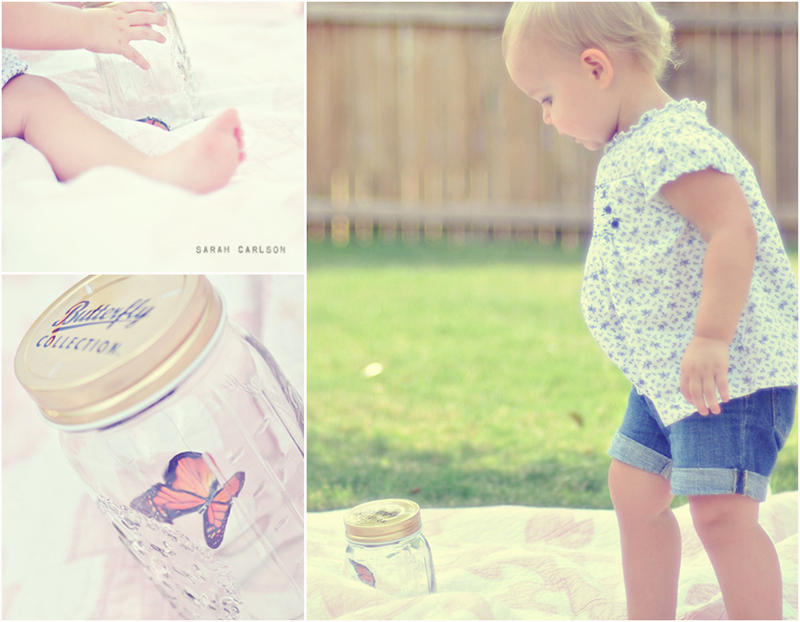 I bought this butterfly jar as a photo prop thinking Kate might actually sit down and look at it, giving me enough time to snap a few shots . Ha! Should've known this girl wouldn't sit still for anything. The butterfly is pretty neat... it looks so real, and it "flies" around the jar when sound activated. It's still a neat prop, even if Kate won't look at it!